One man interviewed for the article said his fall was a result of wearing socks on slick bathroom tiles. He suffered serious injuries as a result of his fall in the bathroom, and he showed the results of those injuries to his classmates in an exercise program to help get seniors to improve their balance and maintain their strength, so these types of accidents are less likely to happen in the future. He also said beyond stretching and improving his balance, he is learning to be more cognizant of his movements as means of preventing another serious fall accident. Taking a look at the actual numbers, we see that there were 548 deaths in the Commonwealth alone least year due to fall accidents. In addition to that, there were nearly 49,000 visits to emergency rooms across the state as a result of fall accidents. Fall accidents are also the primary cause of traumatic brain injury (TBI) among persons over the age of 65 in the Commonwealth, so we are talking about a very significant problem. Focusing on prevention, there is a lot that can be done. There are some things seniors can do, like regular exercise and being more careful when walking. There is also a lot the general public can do. This is especially important for those who run any medical facility that serves the senior population. 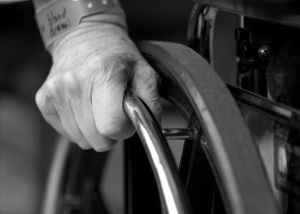 While this obviously includes nursing homes, our Boston personal injury lawyers have seen fall accidents that have occurred in a wide variety of places. We have also seen serious fall accidents involving young people, as well as the elderly. In the case of nursing homes, it is often supervision that is most needed. When the agency does not hire enough workers to properly supervise all of the residents, some residents will be left without adequate supervision, and this may result in them trying to do more than they are capable of doing, and this can result in serious fall accidents. While there are clearly some exceptions, the vast majority of workers at a nursing home may have the best interest of the patients in mind, but if their employer fails to provide proper equipment, necessary training, and does not adequately staff the facility, the workers may be put in a position to fail, and a resident is likely to get hurt. In addition to providing proper supervision, it is also important to make sure the facility is free from obvious trip-and-fall hazards. In some cases, we have seen seniors that are given walkers with rubber stoppers missing from the legs. This type of thing is negligent and should never happen.